Search engines and Search directories are common buzz words in the internet era. The invention of web and search mechanisms draw people to go on the internet to surf and browse. Oftentimes, sharing useful information through rich content oriented blog sites, social networking sites, etc., the abundant information resource is available online by means of Search engines and search Directories. Let us examine the key differences between the two, as we are normally caught using these terms for our convenient marketing purposes. A database can simply be described as the collection of information in human readable format. The collection is similar to how books in a library are categorized and kept for easier reference. 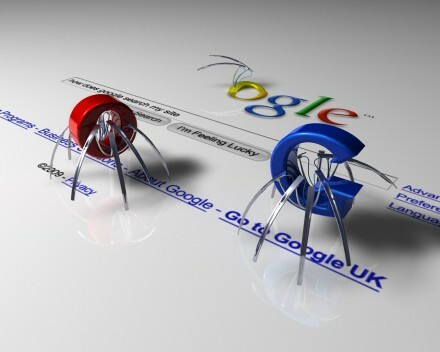 For search engines, “robots” build the database in the same way a spider builds its home, wherein the robots add the information to the database by visiting a website. Search directories are man made resources wherein real people actually edit and manage the links. The editors scan, analyze the results and categorize them to be placed in the search directories. Indexing is the unique feature of a search directory but still some search engines include the index feature and, as such, they are known as “hybrids”. Robots are the programs utilized to do functions such as finding web pages by scanning the contents and return the valuable findings to the search engine’s databases. Therefore, a search engine with a frequently updated database should provide better search results. Search directories such as Yahoo, Dmoz.org and Looksmart are organized by people wherein they edit the main page and publish it on the web. They use a tree hierarchic structure to organize their database and categorize them according to the subject or by geographic location. Because of this extraordinary feature, search directories charge a minimal or futuristic fee for websites. There are some exceptional cases wherein search directories are available for free. They are joeant.com, webbeacon.com and dmoz.org. Search engines have sponsored links and redirect the users to the user search, and the advertiser can get their payment by clicking the advertisements. Some pay per click search engines are also available. There are business people willing to pay for the advertisements and their sites in order to dominate the search results and thereby, potentially get more customers. There is a trade off between search engines and search directories. Search engines quickly display the results irrespective of what the user is searching. It can be varied with fun, entertainment, studies, shopping, marketing etc., But in the case of an industry specific information, using a search directory is the best option. Also, depending upon the geographic location, a search directory provides extraordinary features to find products and services in that specific location. Marketing efforts show better results in geographic locations with a search directory being used rather than a search engine. Still, search engines like Google dominate the playing field by providing better, if not the best, search results. This post is written by Brianne. She is a Professional Audience Engagement Specialist. She is a fan of Option Technologies Interactive.